Home / Books / Stricken by God? Was Christ’s sacrifice the ultimate fulfilment of God’s demand for redemptive bloodshed? Or was the cross God’s great “No” to that whole system? The church is asking these questions afresh. And from every stream of Christianity, answers are coming. 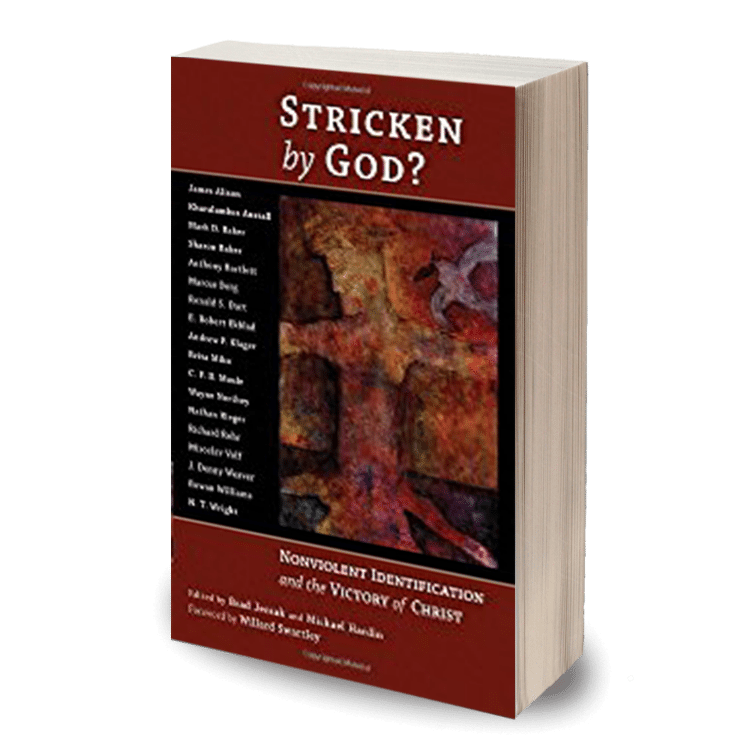 Stricken by God combines twenty essays (over 500 pages) from such authors as N.T. Wright, Rowan Williams, Richard Rohr, Miroslav Volf and Marcus Borg. Other contributers include Tony Bartlett, J. Denny Weaver, Sharon Baker, James Alison and Mark Baker. Anglican, Catholic, Anabaptist, Evangelical and Orthodox writers come together to revisit the question of the atonement. Together, they share and develop perspectives of the cross with implications for restorative justice, nonviolence and redemptive suffering. This wonderful book is must reading for those who want to keep abreast of current thought on atonement theory. 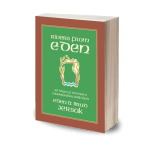 The essays in this work consider whether the suffering servant of Isaiah was truly “stricken by God.” The writers counter with a rich variety of analyses whose common thread is that violence comes from man and not from God. Satisfaction theories of atonement have had the negative results of isolating Jesus’ death from his life and resurrection. We are therefore fortunate to have this book of essays that hopefully challenge that isolation by connecting Jesus’ death with the restoration of God’s peace, making possible a new reality in the world. Stricken by God? undertakes a radical rethinking of the Christian doctrine of Atonement… the present volume is a major contribution to a new movement in theology that deserves the attention of everyone interested in Christianity’s central teaching. Stricken by God? is a highly important contribution at a critical time, bringing together a range of thoughtful voices who raise important questions and pose needed and well-defended answers. It is difficult to overstate the importance of this collection. These essays prove that crucial work in articulating peaceable approaches to atonement is being done across the theological spectrum – and they further that work in powerful ways. This impressive, ecumenical and eclectic volume casts light on atonement theory and its relation to violence from many angles… These essays provide a wide variety of alternative interpretations of atonement which will greatly further the growing conversation on this topic. In Stricken By God? we encounter truthful Christian writing that seeks to liberate the gospel from its enslavement to the powers of this world. Here the good news is offered boldly and freely: God loves us and wants us to be at peace with God and one another. Stricken by God? is as fine a collection of scholarly essays on the atonement as one can find in print. 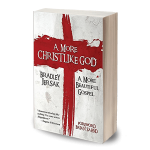 This book offers insightful, compelling and refreshing alternatives to penal substitution and is a must-read for all who care deeply about how Jesus’ death saves us.